Disintegration of renal and urinary calculi (common bile duct stones, bladder stones, kidney stones) by a shock wave that results from an intracorporeal electric discharge. The probe is advanced to the stone through the working channel of an endoscope. The position is monitored via direct endoscopic view and via x-ray. A controlled, very fast electric discharge centered at the tip of the probe generates a spark plasma. 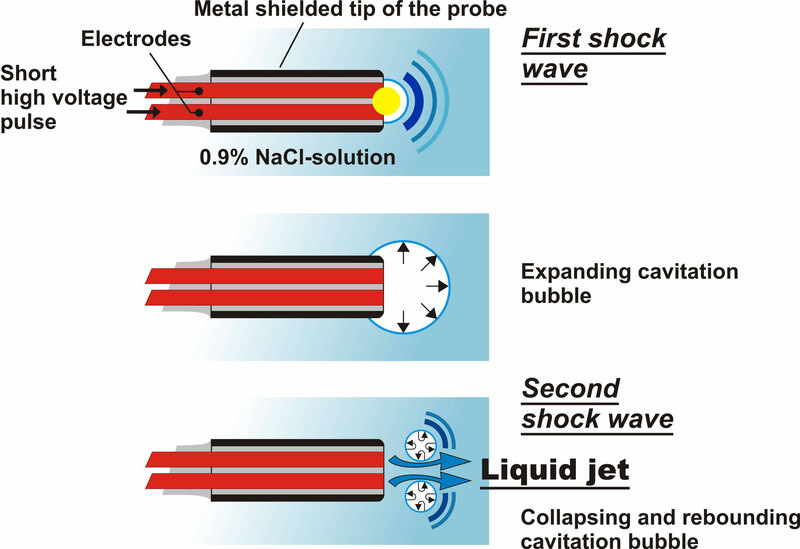 This expanding plasma and later the collapse of a cavitation bubble create sharp rising shock waves which disintegrate the stone in seconds.